In our last post, we saw that Grand River Transit’s ticket prices have been raising faster than monthly passes, leaving occasional riders to take more of the burden for cost recovery than the did 10 years ago. But that analysis is in isolation. What decisions have other cities made, and is this the right balance? Large populations, frequent service, and established rapid transit systems. We can look at these cities to see where we are going. Populations around 400-600K, growing transit networks, and many are planning or building out rapid transit. These cities are our peers, and can see how they choose to solve the same problems as us. Medium sized cities in the commuter-shed of Toronto, having to serve transit needs across multiple sparse business districts in a decentralized suburban form. These cities represent an alternate version of what we might become. 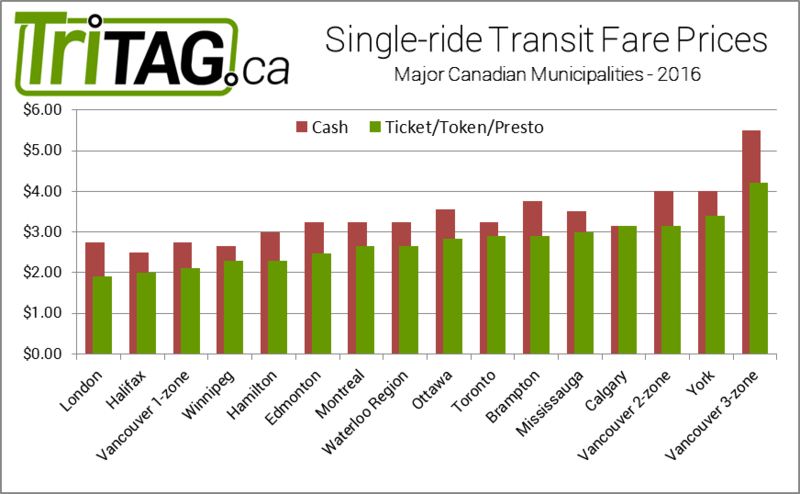 It turns out that after the last decade of aggressive increases, GRT’s ticket and cash fares are now right in the middle of the pack of these cities. When you compare to the other Minor Cities, GRT actually has the highest individual ride prices, and is even more expensive than the larger cities of Edmonton and Montreal. Only Major Cities, including Vancouver, Toronto, and their immediate suburbs are higher. It’s a clear trend that the suburban form of York Region, Mississauga, and Brampton make transit more expensive. 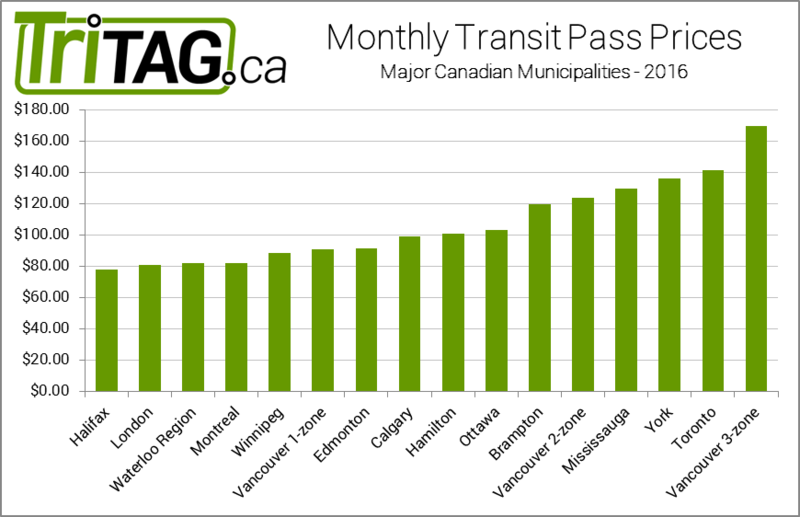 Comparing monthly passes, the chart is dominated by incredibly pricey Toronto and Vancouver passes, with the GTA cities close behind. At the low end of the chart, Waterloo Region is right in the middle of our peers: a bit higher than London and Halifax, but a bit lower than Winnipeg. Waterloo Region is among the lowest cost cities in all of Canada. 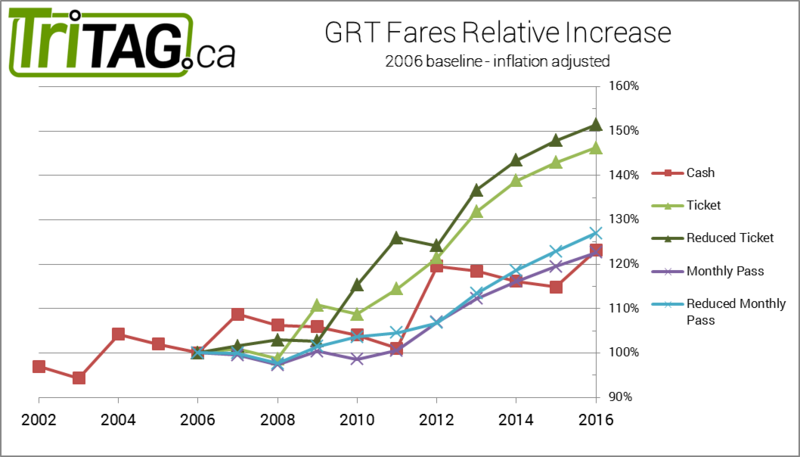 Of note, London has not had a fare increase since 2008, meaning GRT’s monthly pass has exceeded London’s only this year. 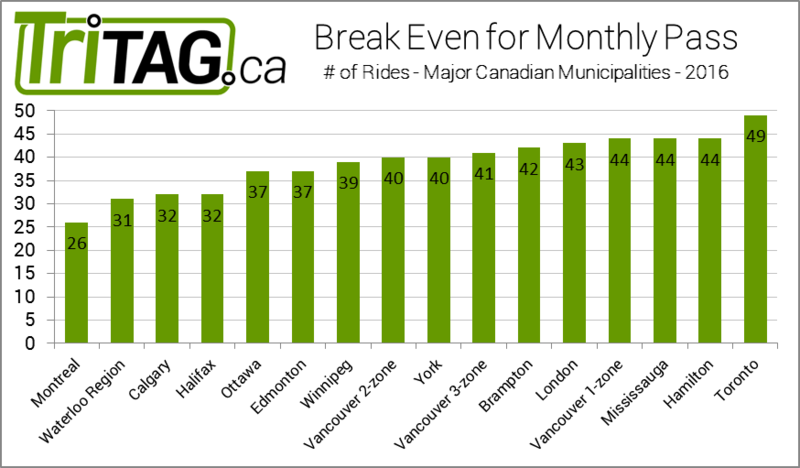 With GRT’s middle-of-the-pack ticket prices, and a low monthly pass price, let’s see how it compares against those other cities in number of rides for a monthly pass to break even. 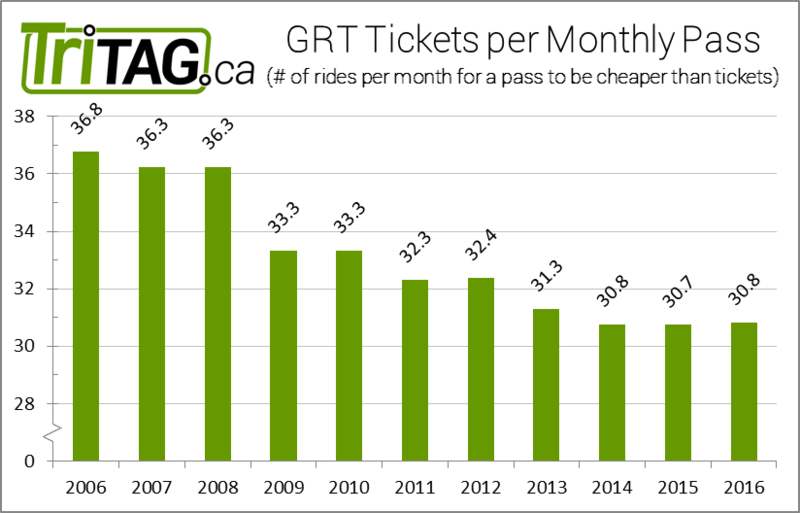 As we mentioned in our last post, over the last 10 years the GRT monthly pass has dropped from 38 to 31 rides per month to pay off the cost of the pass, making Waterloo Region second only to Montreal’s 26. At the other end of the chart, Toronto’s Metropass needs a staggering 49 rides to break even, meaning taking transit to work every day in addition to multiple extra trips. Largely, most cities have settled around 40 rides, which is just shy of the monthly average of 42 trips someone working 5 days a week will make. With the GRT Corporate Pass and the Federal Transit Tax Credit, the number for Waterloo Region can be brought all the way down to 23 rides, meaning for those lucky enough to be eligible, you only need to ride the bus to work and back a mere 12 days a month. Sure enough, even compared to other cities, GRT’s fares are heavily aimed at value for pass owners, at the expense of single rides. Occasional riders of GRT have to pay fares almost as high as Toronto for service that is simply not comparable, while pass holders get discounts that keep fares at or below the cost of our peers. It is laudable to encourage ridership through affordable monthly passes, but single-ride fares are the first interaction people have with a city’s transit system. If it is too steep a cost to even try the bus on occasion, then we risk losing those riders forever. If we must endure greater-than-inflation fare increases, then it is time for single-ride cash and tickets to have a break, as they are now higher than our peers, and in the league of much larger cities with more mature networks. With electronic fares coming in the next year, new opportunities open for new fare structures that can help break down the divide between tickets and monthly passes. Stay tuned for another post elaborating on options for the fares of the future. 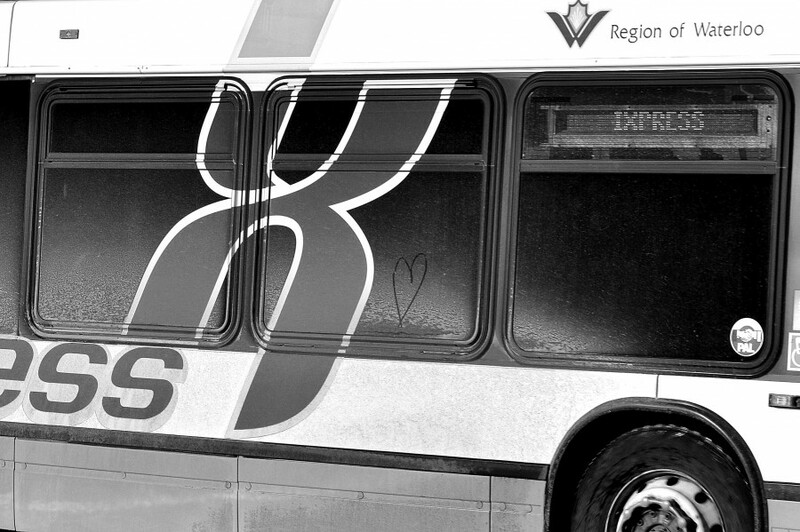 July 1st is coming up, and with it, Grand River Transit is raising fares. Every year, the fare increase is put under scrutiny. On the one hand, fare increases are natural, and make sure that inflation doesn’t starve our transit system of revenue needed to keep the buses running. On the other hand, steep fare increases can damage ridership. Which hard choice is going to be made? Are we going to raise monthly passes the most, hitting loyal riders? Or are we going to raise tickets, so the burden is placed on the occasional rider instead? Do we raise cash fares, and hit those who may not be able to afford a whole strip of tickets at a time? Which way does this year’s change lean? How do this year’s fare changes compare to previous years? And what does that say about the transit system we have? On average, GRT was aiming for a 5% fare increase. This year cash fares, unchanged since 2012, are taking the brunt of that increase, at 8.3%. Monthly passes get a much lower 3.8%, but that’s still twice the rate of inflation. This kind of increase is clearly aimed promoting the use of monthly passes. GRT wants riders to become regular riders, and don’t want to scare them away with a suddenly more expensive pass. Occasional riders will have to make up the difference. Woah, that’s quite the jump in fares. One thing that really stands out are the fare increases of 2012-13, when Regional Council gave GRT a mandate to work towards 50% farebox cost recovery. The GRT 2011-2014 Business Plan called for 50% cost recovery from the fare box, and proposed up to 9% increases per year to meet that goal. We’ve written in the past about the need to be careful about precipitous fare increases for transit. The 9% increase in 2012 brought strong words against council. It’s reassuring to see that the large increases of those years have been tempered, though the 5% annual increases are still pushing the real cost of transit up every single year. Through these small changes, year over year, the relative cost of a monthly pass compared to tickets has been dropping. The number of rides per month to justify the purchase of a monthly pass as opposed to tickets has dropped from 37 rides in 2006 to 31 rides in 2016. A person needs only to make a round trip 16 times a month for a monthly pass to make sense. The average full time job has 22 working days a month, making that a dead simple choice, even when vacations and holidays come up. When you consider that there is an even cheaper Corporate Pass available through many employers, and passes are eligible for the Federal transit pass tax credit, the number of rides needed drops all the way to 23, or 12 round trips. The value afforded to monthly pass riders is substantial. With this general trend of keeping monthly pass costs lower, the occasional rider is being punished. Tickets have been taking the brunt of the increases over the past 10 years, raising 50%. Tickets are used by occasional riders, and those who may not have regular jobs. Someone working 10 days a month has had their transit costs go up much more than someone working full time on a monthly pass, and yet the person using tickets will be less able to afford such an increase. Cash fares have not been raising as fast, but the increase to $3.25 has made it more cumbersome than the old price of $3, now requiring you to find a Toonie, Loonie, and a Quarter in your pocket. Cash fares are often the first experience a rider has with a transit system. When someone doesn’t have exact change, they’ll be less likely to try taking the bus. With relatively cheap “rideshare” alternatives like Uber and RideCo now appearing, GRT may start to lose those first interactions with people who could take the bus, but can’t be bothered to figure out if they have the correct change. GRT and Regional Council should take a look at how these changes line up with their overall goals for transit in Waterloo Region. Are cheaper monthly passes to encourage daily riders the best bet? Or should tickets and cash fares be kept low, to encourage new riders who might then become monthly pass owners? Either way, let us make sure that it is not simply an accident of a dozen individual fare increases, and is the true direction intended for GRT. Stay tuned for future posts talking about fares, as we compare GRT to other Canadian cities, and look at how fares could be handled differently with the coming change to electronic fare cards. There’s going to be another major road project coming to Uptown Waterloo. Reconstruction of Bridgeport, Erb, Caroline, and Albert. That’s right. After LRT construction wraps up in 2017, and after the King St improvements bring protected bike lanes to King St in 2018/2019, the city and region will be replacing aging services underneath Bridgeport, Erb, Caroline, and Albert, and are taking the opportunity to revisit the design of these streets as they cut through central Waterloo. Here’s a look at what’s proposed, (page 46, 12MB PDF) and below we’ll talk about what works, what doesn’t, and what needs serious improvement. Adding a multi-use trail along Caroline provides a great bicycle link between King St and multiple trail entrances for Waterloo Park, and finally allows northbound cycle traffic up Caroline. Crossing Albert on the north side of Erb will be made much easier. The current multi-lane off-ramp nature of Albert St is dangerous, making walking around the old Police Station unpleasant. The new T-intersection design reduces crossing distance, turning speeds, and even introduces new green space. Reducing Caroline to two lanes helps solve the problem of traffic backing up in the right hand lane of Bridgeport east of King. Now traffic intending to go beyond King will use the centre lane, while those turning onto King and Regina Streets will be on the left and right hand lanes, distributing traffic better across the three lanes. Albert St still needs a legal way to cycle southbound. By moving the parking to the east side of the road, there could be a contra-flow southbound bikelane on the west side, with the northbound lane shared between cars and bicycles, with a more appropriate use of sharrows. 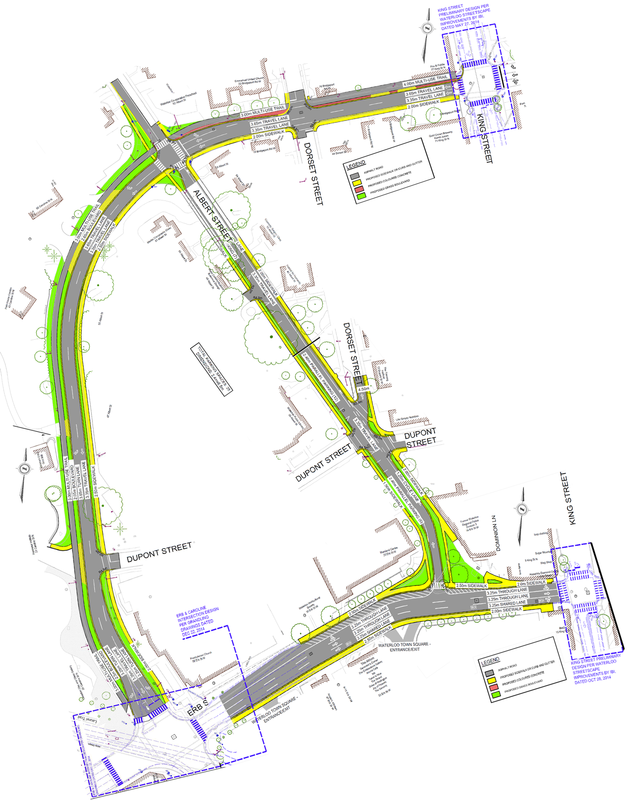 This also puts the parking on the traditional right-hand side, which will be easier for drivers to use. Parallel parking is tricky enough, and even more so when it’s on the opposite side of the car. If the bicycle route along Bridgeport/Caroline is a multi-use trail, then why is there a southbound on-street bike lane and bike box approaching Erb? There is no way for bicycles to access the on-road bike lane from the trail, and if they could, it would be unsafe to merge cross the constant stream of right turning traffic. The intersection design assumes that cyclists are on the road instead of the multi-use trail, when the reverse should be true. We can’t keep ending trails at crosswalks, asking cyclists to dismount to continue. With the first cross-ride in Waterloo now in service at Erb/Peppler, there is now precedent for a two-way crossing on the west side of Caroline, which will finally allow the connection of the Laurel and Iron Horse trails. Erb St, unfortunately, has a long way to go. Erb, as proposed, with many lanes and large excessive shoulders. The sharrows proposed for Erb St are inappropriate. Sharrows work on low speed roads, not major high-speed multi-lane arteries. Sharrows are not a replacement for dedicated cycling infrastructure, and 2016 should be the year we stop pretending they are. The width of Erb St is drastically wider than the planned use. There is no need for 3 through lanes and a painted shoulder lane. Staff mention a potential possibility for on-road cycle tracks, “without the need for additional construction,” but it would require waiting for “a separate, broader study to consider implementation of a two-way cycle track on Erb Street from Caroline Street to Margaret Avenue [which] will be completed by the Region of Waterloo in the future.” In the meantime, Erb will remain gratuitously wide. A pedestrian crossing at Erb/Albert is dismissed, because there are fewer than 250 people crossing day, a number that is unlikely to change if Erb remains wide and hostile. Bridges are not built by counting the number of people swimming across a river; crosswalks should not be dismissed because few are willing to unsafely cross a high-speed 4-lane arterial. An alternate concept for a right-sized Erb St featuring a pedestrian crossing, and a shared bike and turning lane. Here is a potential way to correct some of these issues. The right hand lane of Erb is used as a turn lane for the WTS entrance, and for King St. To prevent the speeding, cars cannot use it to drive from Caroline to King, only allowing cyclists to continue through, in what will now be a much lower-speed lane. The painted shoulder on the north of Erb is now removed, with the sidewalk moved south where it was. A pedestrian crossover is installed at Albert, allowing direct access from Albert to The Shops at Waterloo Town Square. These are just some of the suggestions that we have, but we’re sure you have more. Please send your own feedback, and be sure to attend the upcoming public information centre. We’ve written briefly about Grand River Transit’s proposed 2015 Service Changes, and we’d like to share a few observations we’ve had, both about how these changes will improve the transit system in Waterloo Region, and the challenges ahead as we move towards a fast, frequent, grid network. We encourage everyone to provide your feedback to GRT, at both at their final public consultation on Wednesday November 26th, and via their online response form. With a consolidated route 7 appearing in both options for the 2015 service, it seems that GRT is strongly committed to the kind of service improvement that we have talked about on numerous occasions. Splitting the East/West service off of route 7 by removing the 7D/E branches and replacing them with increased University and Columbia service is an important change that will improve the transit experience along the full length of King St without increasing costs. The new consolidated route 7 will allow for frequent, direct, service every 7.5 minutes to employment and retail on King St north of Columbia, and Weber St east of the expressway. 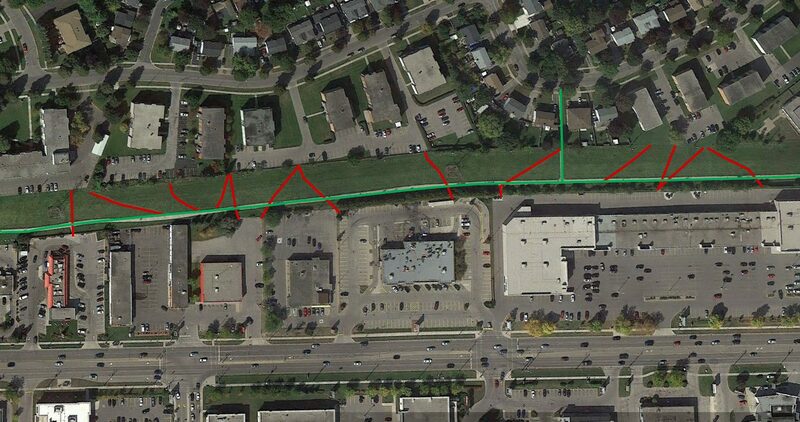 Coverage goals around Fairview Mall would be served by the 1, 8 and 23. This keeps the most frequent service on the busier corridors without having to run through quiet residential streets, but keeps local service for the neighbourhood. 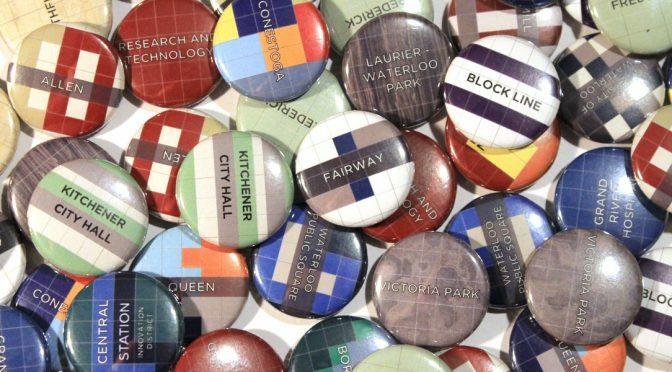 With the separation of the north-south from east-west services at King & University, this will mean transfers. Currently the 7 does not connect with the 202, and it is a long walk to the existing iXpress stop. As the major east-west route, the 202 will need a stop at King & University to support these transfers. Removing the 7D/E branches will take away existing capacity on University and Columbia Avenues. GRT will need to evaluate service on these streets, to make sure there is enough capacity to handle the extra ridership on the remaining buses. 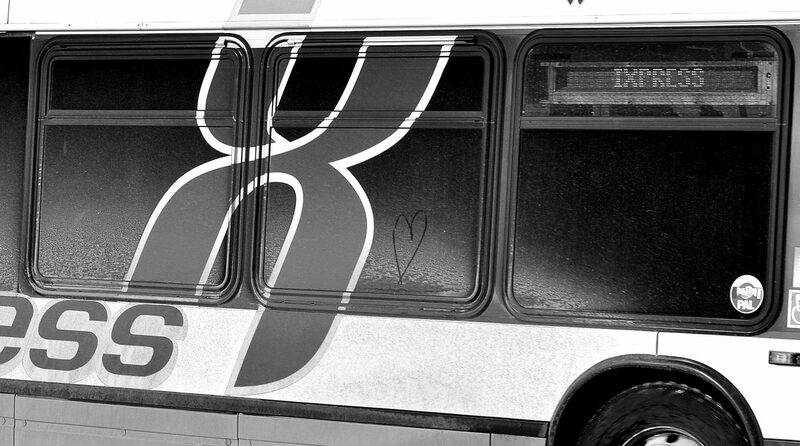 The 92 Loop route may need to be upgraded to be an all-day service, to provide enough capacity on University, while providing enough buses with staggered schedules on Columbia to give frequent service to support untimed transfers to the 7 at King & Columbia. 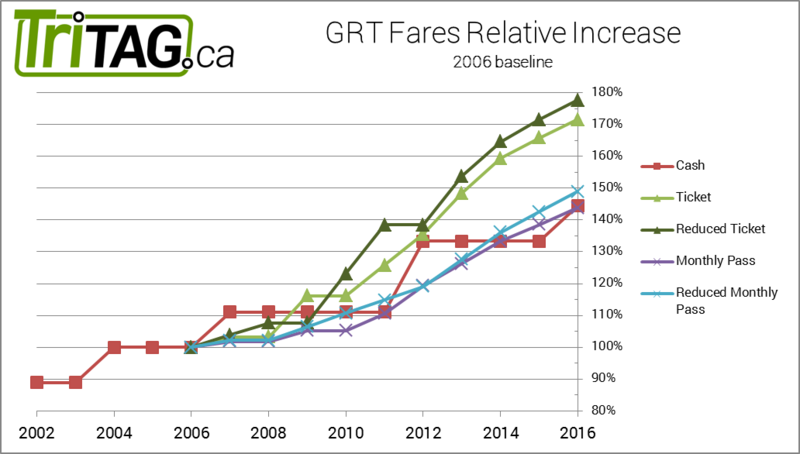 In our last post, we advocate that cost savings for GRT can be found through further rationalization of GRT routes instead of cuts to existing services. By reducing duplicated efforts, better service can be provided at reduced cost. There are many places we believe this is possible, and chief among them is the Region’s mainline route, the 7. Ottawa St, from King St to Mill St in central Kitchener, currently a two lane road flanked by driveways, single family homes, and some industry, is about to get a whole lot busier. 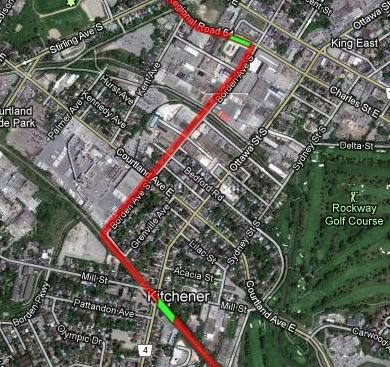 In total, 1 LRT lane, 4 car lanes, and 2 bike lanes (if not better, segregated biking infrastructure). That’s an awful lot to fit in the 20 metre right-of-way (pg 7). Comparing to road layouts planned for other sections of the LRT, it is apparent that this is a large amount to fit in the 30 metres between the front doors of the houses lining this stretch. It is admirable to intend Ottawa St to serve all of these purposes, and there is no doubt that it is ripe for a rebuild and redesign, but there needs to be a holistic review of what we want to do with the corridor, and what we need to do with it, before we start digging. If we blindly move forward with current plans for all of the road uses, it is likely that there will be great impact at great cost to the homes on Ottawa. At best, many homes will lose the majority of their lawns, and at worst, an entire side of the street will be expropriated, just as is happening on Weber St. Either way, this would be unnecessarily disruptive to an otherwise stable neighbourhood. What can be done to mitigate this? 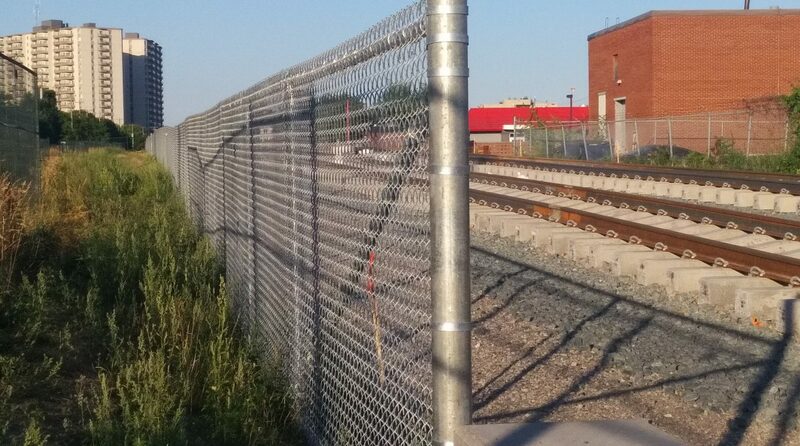 Something needs to move, and that should be the LRT which would be rerouted to Borden Ave.